How to install the Muslim Pro Tody's iOS Widget? Simply open the notification area by swiping the menu from the top with your finger. Click on the “Edit” button at the bottom of the Today area. Then click on “+ Muslim Pro” to add the widget. Finally click on the “Done” button. That's it, you now have all the Prayer Times for the day. Why install the Muslim Pro Widget? The new Muslim Pro widget allows users to view all the Prayer Times for the day as well as a daily Quran quote without having to open the Muslim Pro app. Getting accurate Prayer Times has never been more convenient. Who can install the new Muslim Pro Widget? 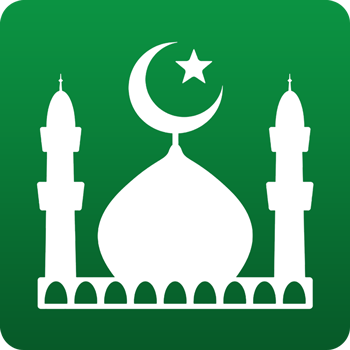 The new Muslim Pro widget is only available for iPhone & iPad users only with iOS 8. Please note that iOS 8 is only available for iPhone 4s, iPhone 5, iPhone 5c, iPhone 5s, iPod touch 5th generation, iPad 2, iPad with Retina display, iPad Air, iPad mini, and iPad mini with Retina display, iPhone 6 and iPhone 6 Plus, iPhone SE, iPhone 7 and iPhone 7 Plus.